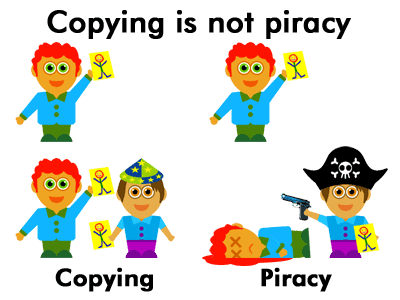 Think about it, if a song reaches a certain level of popularity these days, there’s pretty much a guarantee that someone, somewhere is going to pirate it (or copy it). To me it seems pointless to even bring up the prospect of a subscription service, or even a pay-as-you-go model, as a viable solution for a future sustainable industry model. I just don’t see that going down. If you don’t know why, ask a pirate..there’s probably one in the room with you. The answer instead, to me, seems pretty obvious. The whole reason Piracy has even derived is because of the existence of pay walls. If you get rid of the pay walls, you get rid of piracy…like I said, seems pretty obvious. But if fans don’t pay, how then can the artists make money? This, it turns out, can be solved with a concept I like to call reciprotive marketing. Basically, it all starts with the long established basic cable ad revenue model. The viewers would watch for free, but they were also being exposed to ads, and so the content providers were still justly payed. This model works okay, but it often times can lead to media networks selling out to the point where they are willingly subjecting their viewers/listeners to incredibly interruptive messages and breaks in programming, often at the most crucial times. This is where the reciprotive marketing fits in. There needs to be a shift in advertising and marketing as it is practiced today. As Seth Godin so enthusiastically preaches, interruptive marketing is NOT the solution. Instead, I propose a way of marketing which will benefit all parties involved, and then some. There is a unique opportunity in the mass media industry right now, one that everyone, including fans and consumers, can cash in on. My proposal: Artists give away their songs (preferably trackable streams) for free, in one place. Fans would no longer have to bother with getting viruses on torrent websites, because they could come right to you instead. Now the artists can (for the first time) track not only all of their fans, but all of their actual plays. These numbers can then be used as leverage to negotiate the price of an artist’s ad space. The more popular the music, meaning the more it’s being shared, or, currently, often referred to as “pirated,” the more money an artist can actually make. The difference is in the ads though. No longer can ads be obtrusive to the user’s experience. No longer can irrelevant messages be blared in your face seemingly at random. This is not a sustainable model. Instead of the advertisers taking something from the viewer/listener (their time), the roles should be reversed. Brands need to be willing to give something of value to their prospective customers. A great way to start is to sponsor the music or content that their demographics love and care about. The fans would be getting their music for free, and they would (even if subconsciously) know who’s responsible. We do this with what I call the postage stamp ad. It’s basically a little icon ad that sits up at the top of the screen at all times. It doesn’t flash, or jump out at you, or even do anything to try to interrupt you. Instead it just sits there quietly, but there is a lot more to it. If you happen to click on this ad, the advertiser gives you yet something else of value. It could be a game(p2p), an app or an exclusive music video. It could really be anything, as long as it fits into 1 of the following 3 categories: Fun, Useful, and/or Beautiful/Appealing. The end goal of these ads is to add to the user’s experience. These ads are designed so people will actually want to click on them. This encourages authentic engagement with the brand. Mix that engagement with the already established cred from giving away the music for free, and you’ve got the epitome of reciprotive marketing. The end result – (picture a cycle flow chart) – The artists release their music to the world, the fans consume and share it for free, the advertisers tap into those fans and utilize the artist’s momentum, the artists get paid justly with full control over their rate negotiation, the advertisers gain significant cred amongst their demographics, the fans gain a more relevant, more useful ad experience with no needed interruption, thus a better overall user experience….and did I mention that the music would be free! LET THE MUSIC BE FREE!! In every sense of the phrase! If you like this idea you can help us achieve this model by staying updated on what we’re doing. We’re rapidly developing this software right now, along with some other really amazing promotional tools for artists, so that they can gain all of those needed views and plays. Find out more about us and our innovative new promotional methods on our about us page on this blog. We will be open to the public and fully operating VERY soon. We are very much looking forward to it! Until then, patience is a virtue, and making great music is still the name of the game. Also, for right now, we’re all about promoting independent artists for free in any way we can, until our software comes out and is capable of doing it way better than we can. If there’s anything that we can do for you now, let us know! This entry was posted in Independent Music, Music, Music Help and tagged ad models, ad revenue for artists, artist revenue models, artist revenue streams, Artists, Bands, Beat-Play, BeatPlay, Dante Cullari, File Sharing, Free Pays, free promotion, Future, How to solve piracy, Independent, independent artists, Independent Music, Indie Music, Innovation, Music, Music Business, music help, music industry, Music industry problems, music industry solutions, music innovation, Music News, Music Promotion, music tools, Music Without Labels, MusicWithoutLabels, piracy, Piracy Lesson #1: Free Pays, piracy solution, Producers, Promotion, solving piracy. Bookmark the permalink. THE ONLY ISSUE IS THE MUSIC THAT IS SHARED OR COPIED STILL WILL NOT BE TRACKED! Though relying on who lazy most people are the will likely copy the music for someone else less being that it is free. If you put that music on a platform (social network) where the users can share the music between each other, on the platform, it can and will be tracked..There’s no issues, trust me, it all works out..It really is that simple..It’s just so obvious that nobody thinks about it. Kinda sad…but it is legit, and it will happen.